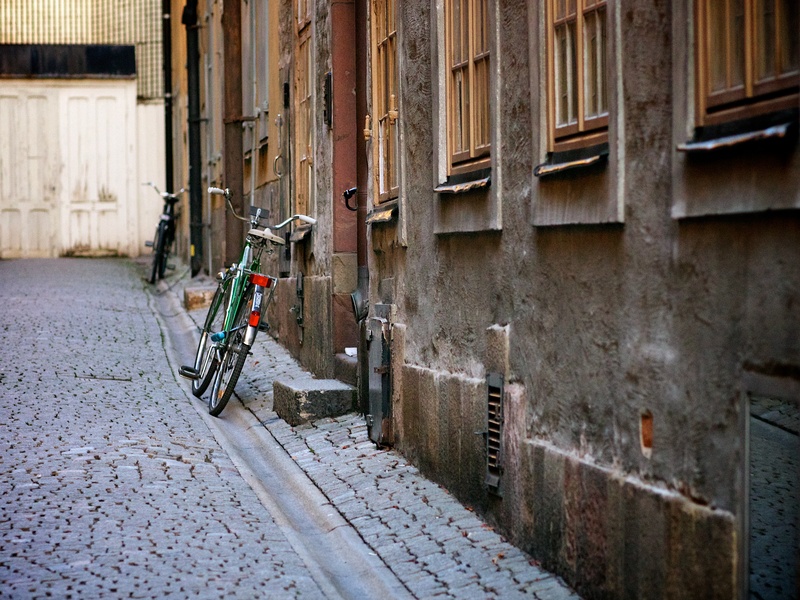 Gamla Stan in Stockholm is one of those places that outwardly you want to avoid, but secretly you thrill at the little side streets and cobble stones. Then you get stuck in a crowd of (other) tourists walking at such a slow speed you wonder how they can remain upright, grimace, and try and loom behind them until they get out of the way. Every now and then, between the shops selling traditionally woven tartan, you catch a glimpse of a quieter part and wonder if this is what life would have been like in The Old Days. Minus the hipster bikes.